Dehumidifiers draw moisture from the air, which helps prevent mold and mildew, and that helps to make life tolerable for those who suffer from allergies. But did you know that a drier environment helps food stay fresher longer? 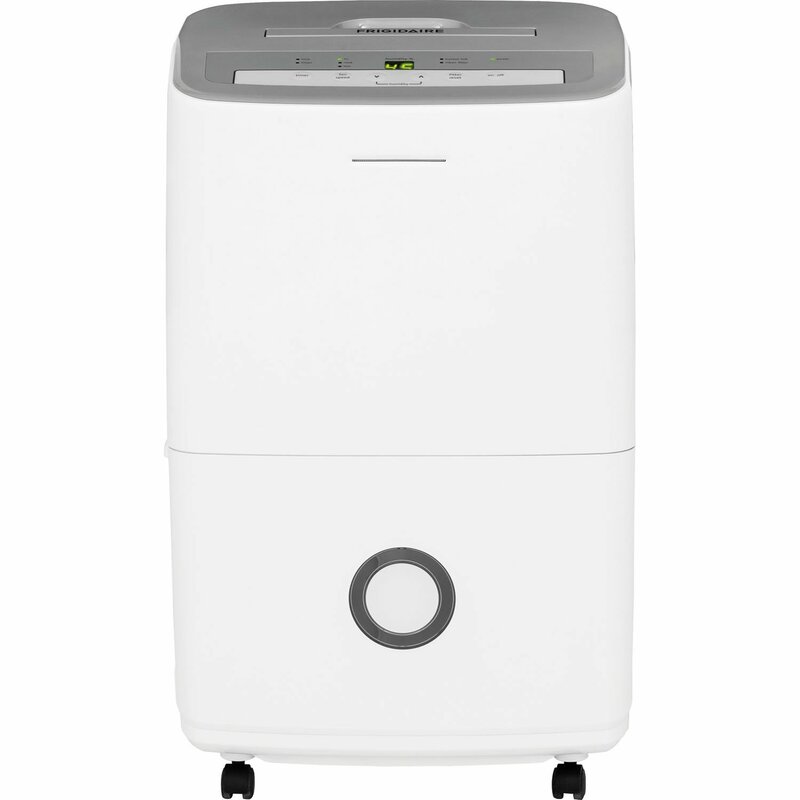 Or that a dehumidifier can help you reduce dust in your home? How about that a dehumidifier can actually lower your electricity bills by helping to make your air conditioner run more effectively? These machines come in a large variety of sizes to meet a wide array of needs and situations. 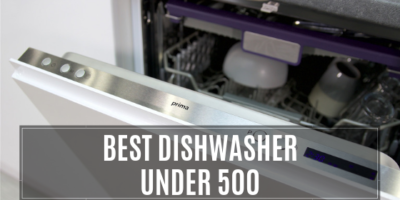 Whether you’re in a small apartment or a large home, many people – especially those in regions where humidity is an issue – find that these appliances can vastly improve quality of life while lowering their utility bills. Things we can’t control, like the weather or the fact that we’re born with allergies, can make life miserable and uncomfortable. Therefore, things we can use – such as dehumidifiers – to reduce the levels of discomfort we suffer from such issues can be viewed as important aids to improving our qualities of life. 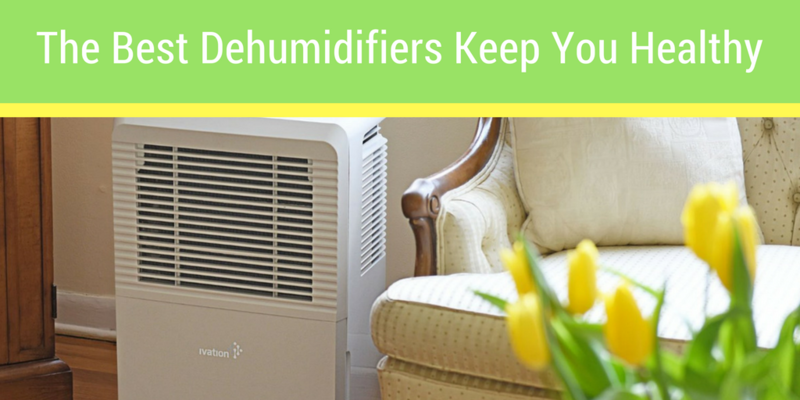 The dehumidifier you should buy depends on your living circumstances. As noted, space is a key factor, but your general health, condition of your home and, of course, budget are all important as well. Included in our reviews that follow are five different products that address issues that may be important to most of our readers. 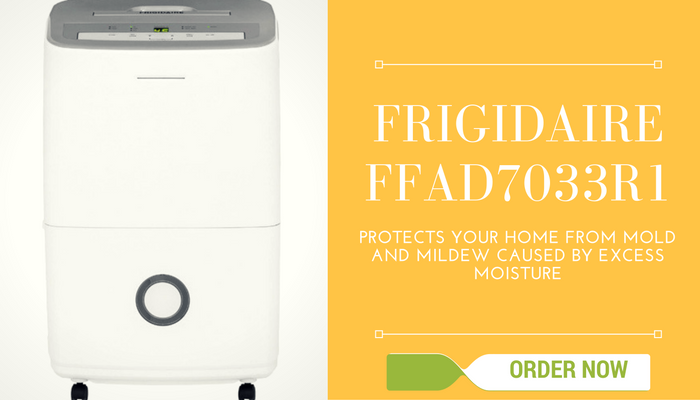 These appliances can make a huge difference in the quality of life to people who suffer allergies, but it is very important to consider your situation and choose the dehumidifier that makes the most sense for you. 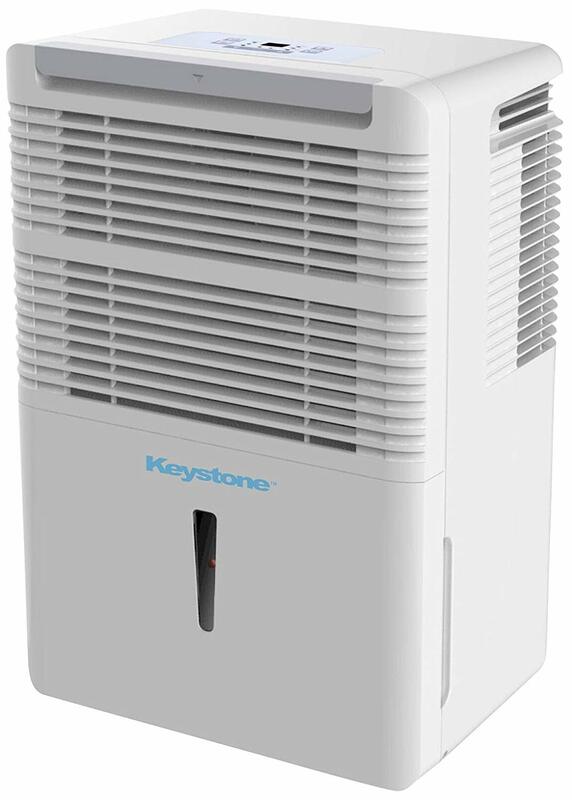 What we love about dehumidifiers is their effectiveness in reducing mold, dust mites and other allergen-bearing organisms. The best dehumidifiers enhance comfort, generally are easy to run, and provide benefits that make a significant difference in comfort and health. There are some things about dehumidifiers that we’re not crazy about, either. Many are noisy, and it’s important to choose dehumidifiers that come with an Energy Star rating to ensure that the cost of running them does not become excessive. Further, all dehumidifiers – small or large – require regular draining of the water they collect, unless the dehumidifier emptying into an in-floor drain. Still, if you suffer from allergies or are sensitive to humidity, a dehumidifier can be a cheap way to help vastly improve your quality of life. One of the main advantages of this dehumidifier is the automatic shut-off mechanism, which means the 13.1 pint tank is not going to overflow or leak. The front pull-out design makes for easy draining. Designed to operate at low temperatures, which saves you money. 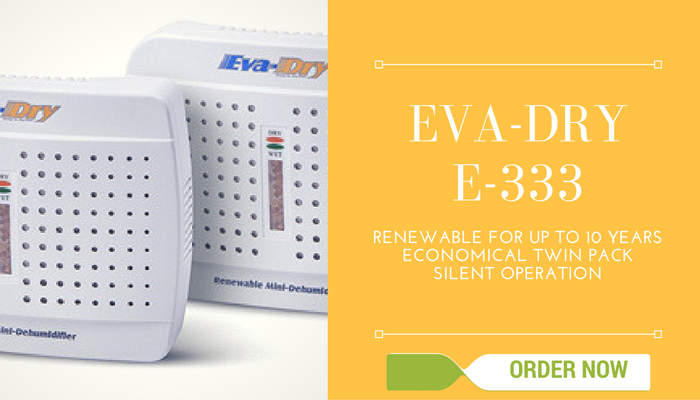 It is relatively quiet compared to other dehumidifiers on the market, and works quickly and efficiently. Numerous customers have lauded the sturdiness of the R1, as well as its ease of operation. One main issue of concern was that a small number of customers noted they’d had problems with the machine running normally after about a year. These complaints seem rare, though should be noted. Comes with a full 1-year warranty and a limited warranty to 5 years. The KSTAD50B offers a clear LED display and a 24-hour timer for extreme ease of use. The water level indicator is clear, so it is easy to monitor, and continuous draining is available by attaching a standard garden hose. 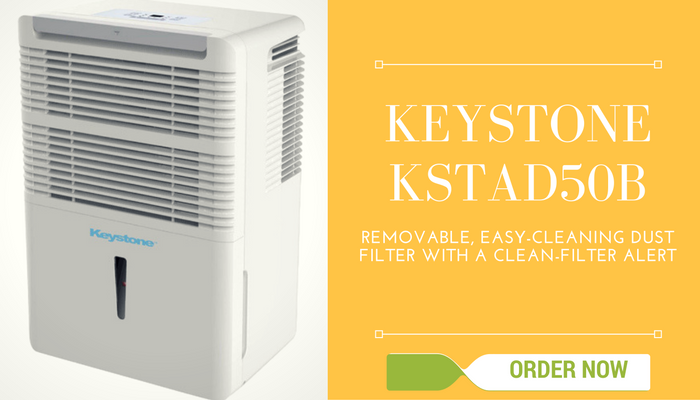 The dust filter is removable for easy cleaning, and the machine features an alert to let you know when cleaning is necessary. Works in a room as large as 3,000 square feet. 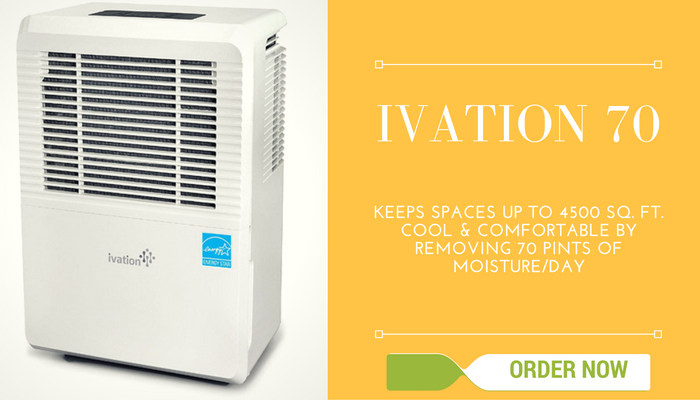 Gets rave reviews for being among the quietest dehumidifiers on the market, as well as among the longest lasting. one drawback is the design of the bucket that captures moisture, which is not flat at the bottom and therefore can not be set down (causing spills if the user is not careful.) Comes with a full 1-year warranty and a limited warranty to 5 years. 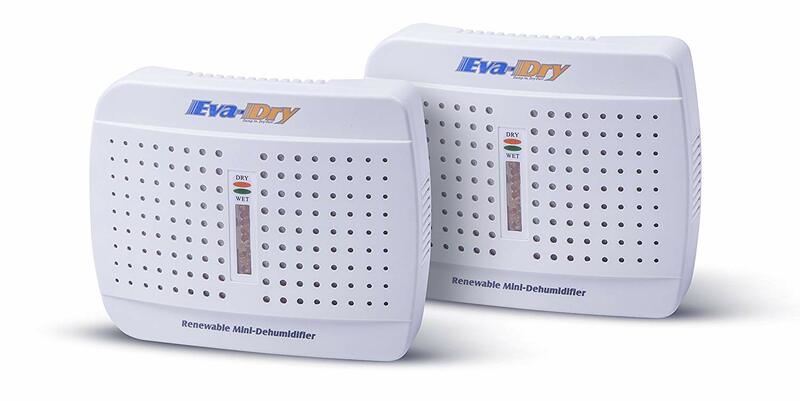 This small dehumidifier does a big job quietly, efficiently and at a reasonable price. Like its larger counterparts, it comes with an automatic shut off valve and “full tank” indicator light. 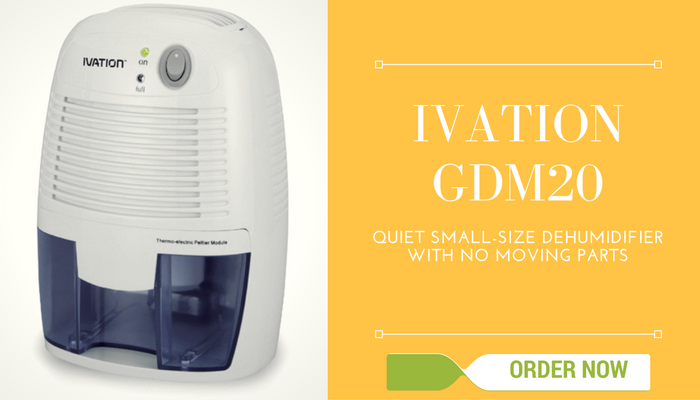 Perfect for smaller rooms where mold can be a frequent problem, such as laundry rooms or attics, and its tank is spacious for such a small machine – holds about 16 ounces of water – which typically means it needs to be drained every two days, a very nice feature for such a small, inexpensive model. 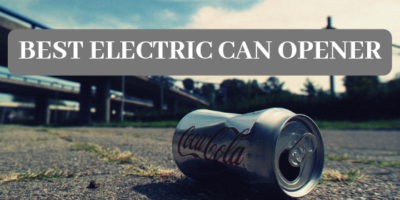 A small number of consumers have reported issues with overflowing, but the incidence was very low and therefore likely to have been an issue with regard to individual units rather than product wide. 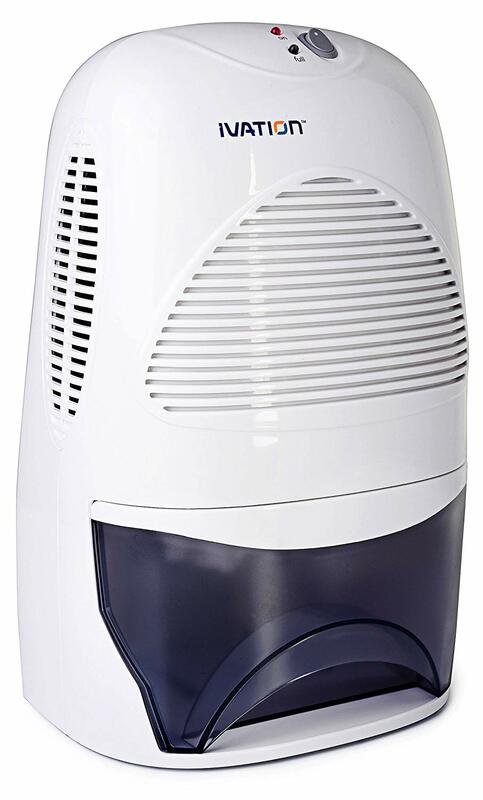 For small spaces or for bedrooms of those who suffer from allergies or asthma, these renewable mini dehumidifiers are a dream come true! Silent and easy to operate and use, and does not require batteries or cords. Perfect also for protecting clothes (especially leather jackets, etc.) from mold and humidity, or for cabinets, safes, other small enclosed spaces. If there are any concerns about the E-333 they have to do with sturdiness and in a few isolated cases customers have complained that they take too long before starting to work efficiently. 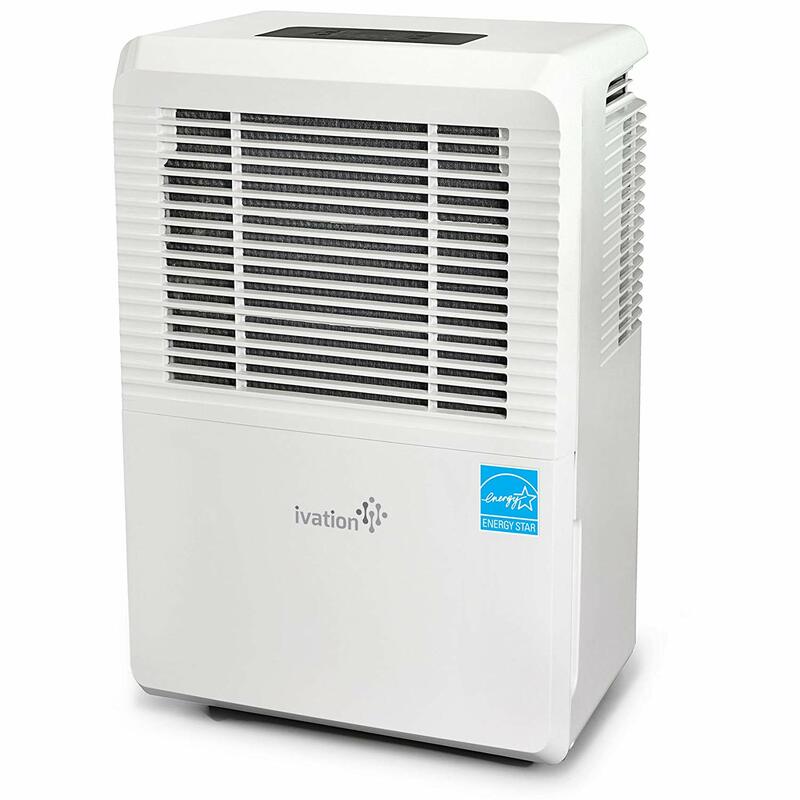 Ivation’s Energy Star certified dehumidifier for large spaces (up to 4,500 square feet) removes up to 70 pints of moisture per day. A bright LED indicator panel communicates filter alerts, speed, humidistat and has a timer as well for ease of operation. This model is one of the more powerful choices available and gets high marks for ease of use, operation and maintenance. The 1.3 gallon reservoir is easy to drain, and the unit comes on wheels, making an already well-designed product that much simpler to use. It is not the quietest unit on the market, though complaints about noise are infrequent to our knowledge. MUST READ: FIND THE BEST FOOD PROCESSORS ON THE MARKET RIGHT HERE!